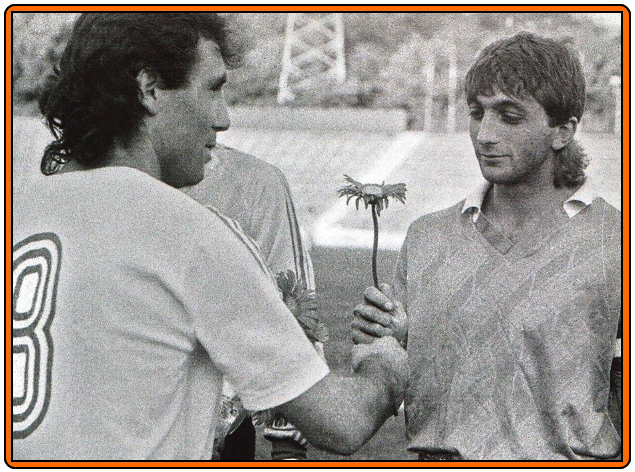 During the 1988-89 season Trifon IVANOV joined the best team in Bulgaria at this time, the CSKA Sofia. 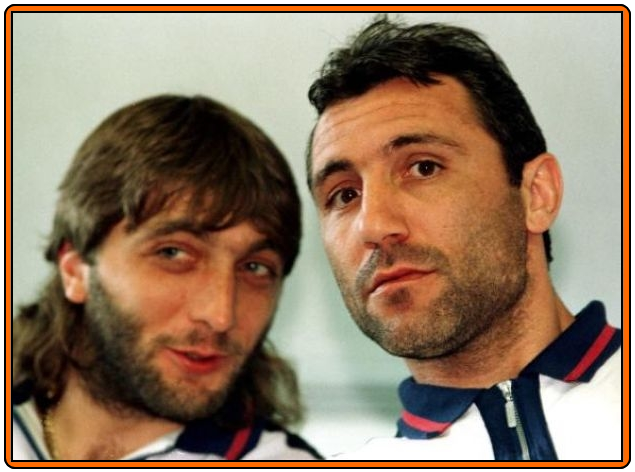 CSKA's playmaker was Hristo STOICHKOV and won this season the European Golden Boot with his club by scoring 38 goals in 30 games. 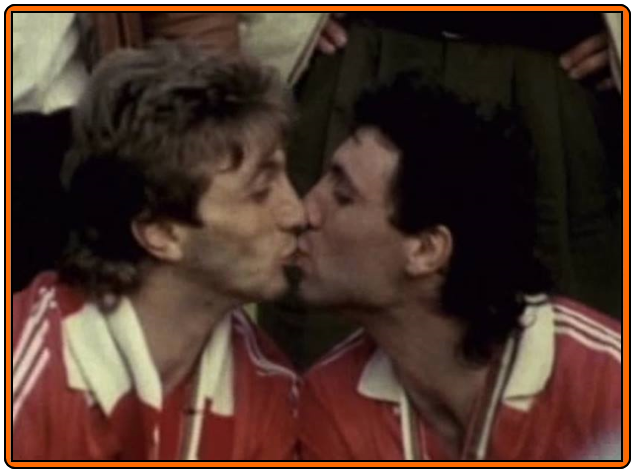 Trifon and Hristo were champions and won the national cup for the first year they played together and by the way they played also for the national team. Since a deep friendship is born between this two guys. But may be you have this question on your mind : Is there a deep friendship possible between two Men ? You see, to the modern eye, all close love is sexual love. Deep friendship, especially between men, gives us an uneasy feeling. This leaves modern men with a tough choice: They can risk being pegged as gay for forming deep friendships with each other. So I have another question. A man can give flowers to another man without being pegged as gay ?